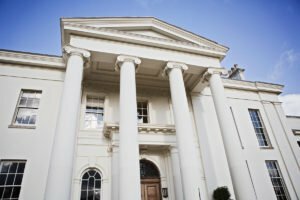 At Hylands Estate we can provide the best of both worlds. 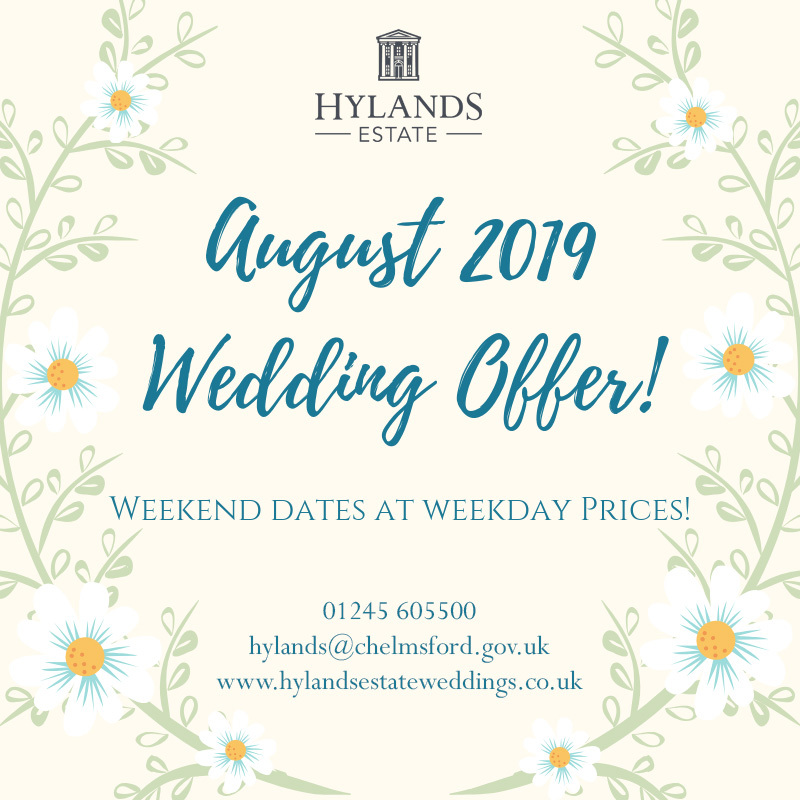 For those wanting to have a wedding with up to 120 guests, your civil ceremony and wedding reception can take place in our ornate, lavish historic rooms of our grade II* listed mansion, Hylands House. 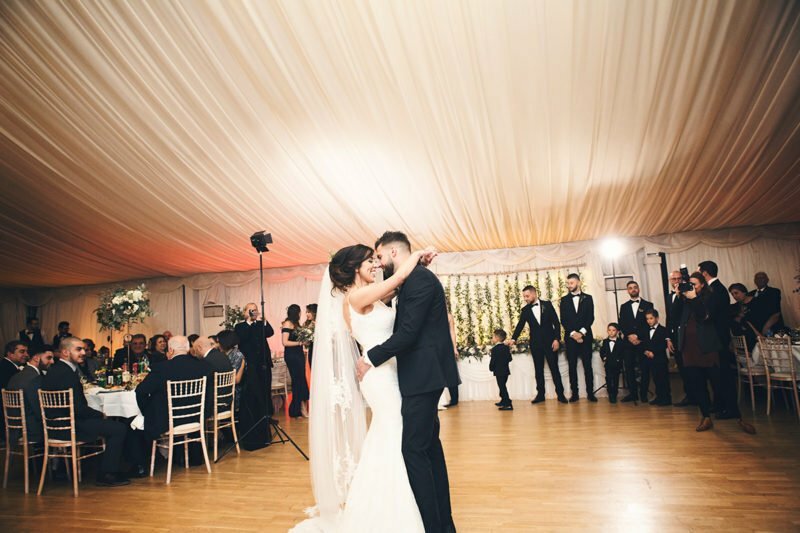 For larger wedding parties of up to 300 guests, host your civil ceremony in our ornate Banqueting Room before progressing to the sleek and contemporary Grand Pavilion for your evening reception. Dine in style and immerse yourself and your guests in the opulent historical setting and elegance of Hylands House. 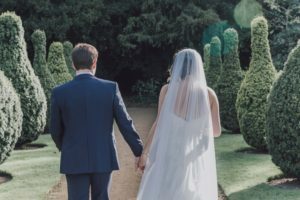 For up to 80 guests you can host your wedding meal set amongst the most elegant and luxurious surroundings in the area. 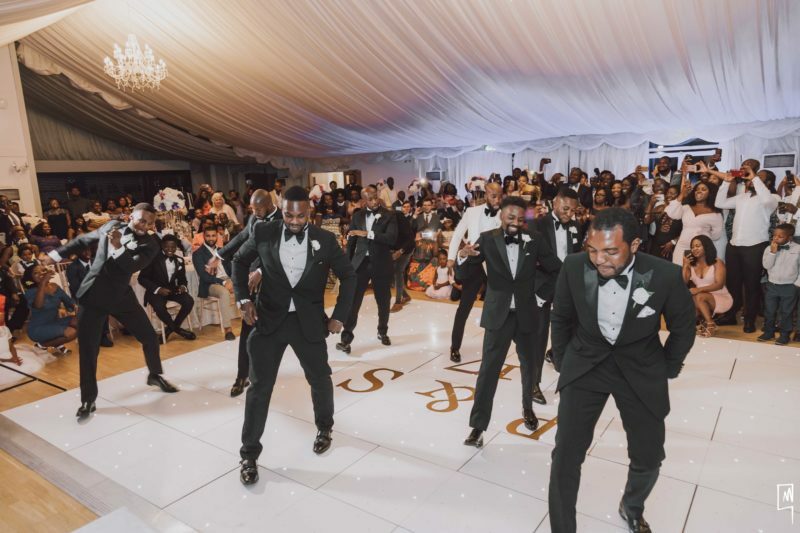 For the larger wedding party, invite your guests into the crisp and contemporary Pavilion where you can host up to 300 guests in the most sleek, modern environment. 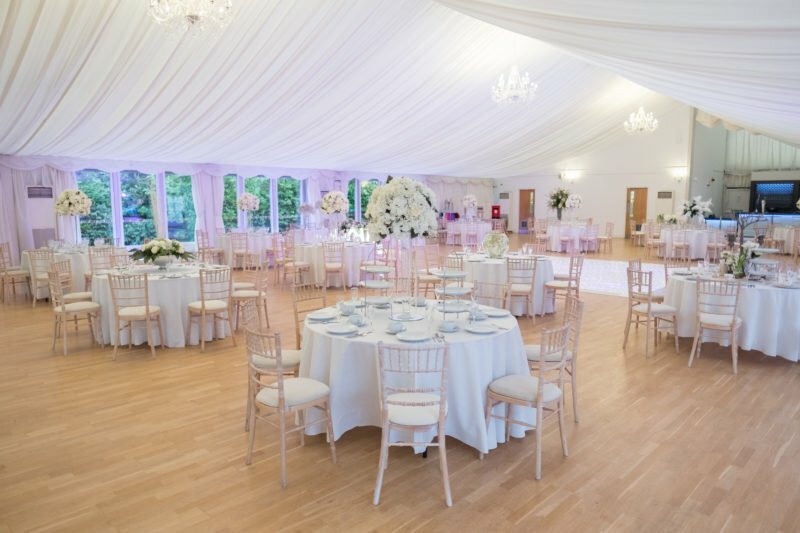 With it’s own stylish bar, kitchens, toilets and private court yard garden you have everything you need to host in the most flexible and spacious pavilion. 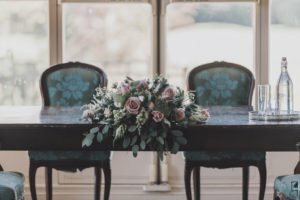 After soaking up the lavish surroundings during the drinks reception in the elegant house, it is perfect to then enjoy your meal in the glamorous pavilion. 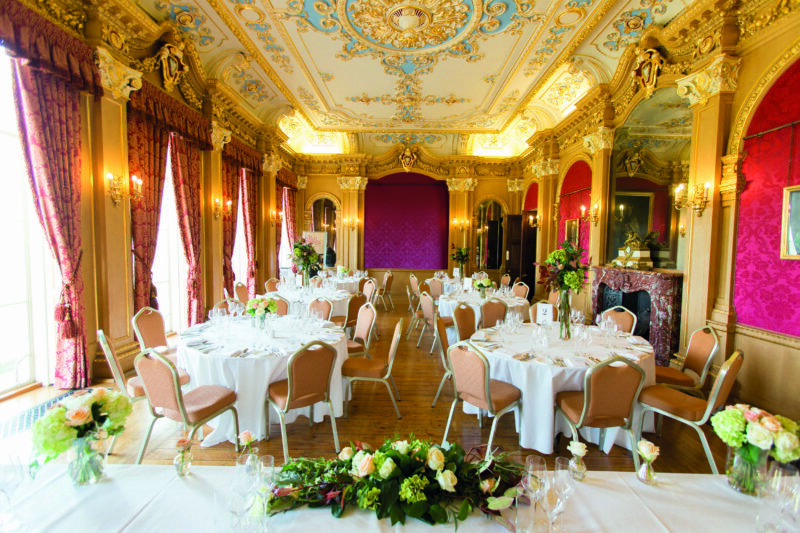 Pictured Banqueting Room and the Grand Pavilion.